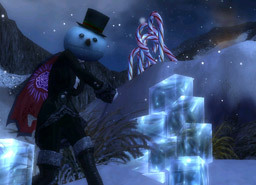 It’s time to take a break from the summer heat (or celebrate the frosty weather, depending on your hemisphere) with our Wintersday in July celebration! The festivities will begin on July 24, at 12:00 p.m. Pacific (UTC -7) and end at 12:00 p.m. on July 31. 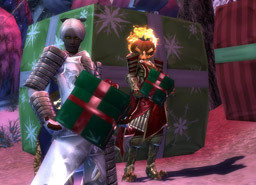 For more details about the full week of Wintersday in July activities, check out the Guild Wars Wiki! Get in touch with your inner Grentch by taking on the outer appearance of one!